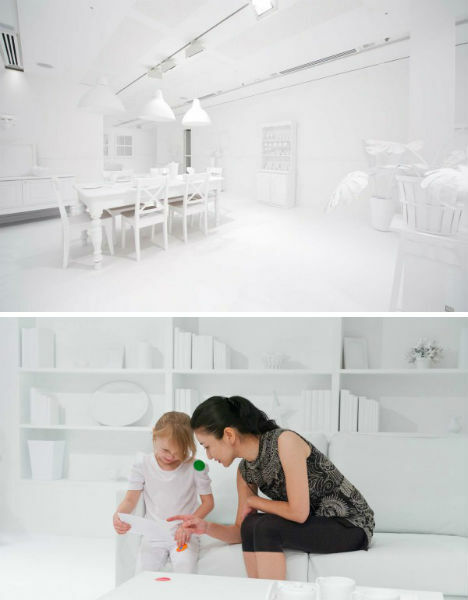 It’s a parent’s nightmare: a stark, modern living space so clean it practically sparkles that, after the intervention of 1,000 children, ends up looks like the world’s largest finger painting. 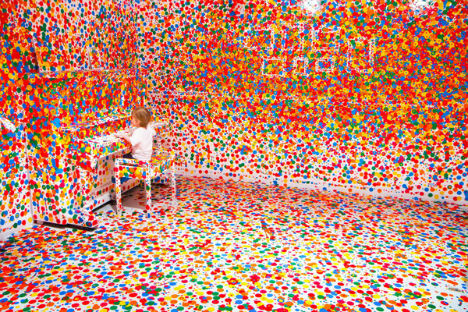 This awesome installation by artist Yayoi Kusama at the Queensland Gallery of Modern Art in Brisbane, Australia let kids go wild with stickers over a period of two weeks, resulting in brightly colored chaos. 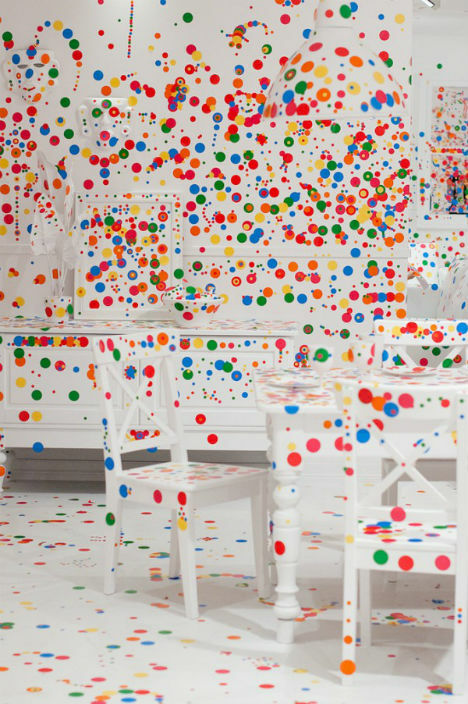 Kusama painted every surface in the room white, down to the smallest accessories, until the room was so bright it was practically blinding. 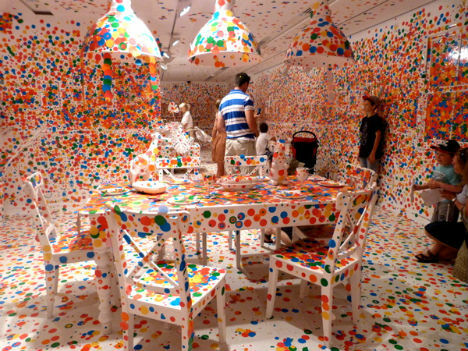 The room was then offered up to kids as a massive canvas for tens of thousands of round colored stickers. 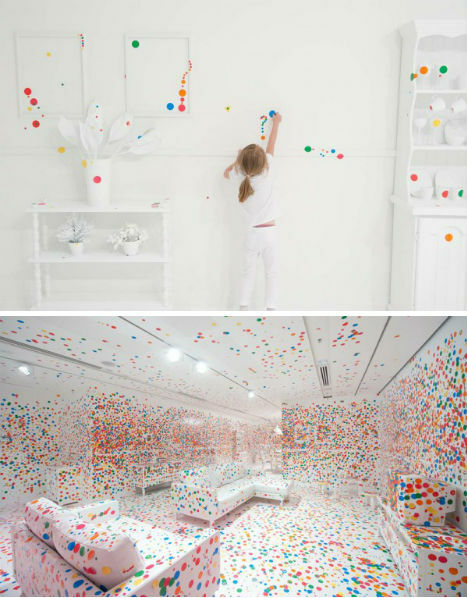 Entitled ‘The Obliteration Room‘, the project will be up as part of Kusama’s exhibit Look Now, See Forever until March 12th. See more jaw-dropping art installations like this at This Is Colossal.